How Far is Shree Uma Darshan? Uma Darshan is one of the completed residential developments located at Kamothe, Navi Mumbai, Maharashtra. 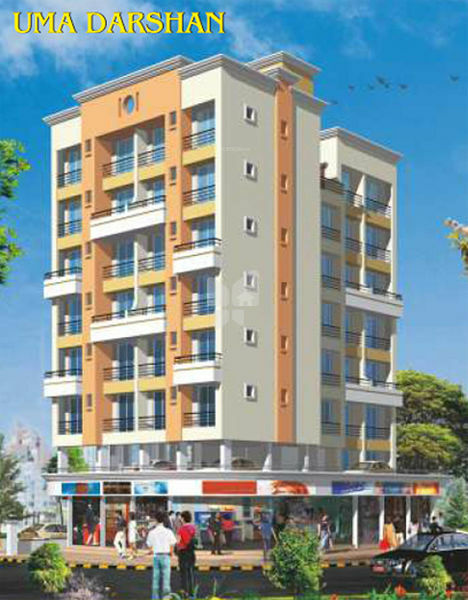 It offers skillfully designed 2BHK and 3BHK flats. The project is well equipped with all the amenities to facilitate the needs of the residents. Round-the-clock security is also available. Shreeraj Group is a reputed enterprise focused on developing housing apartments with the best of amenities. The company has developed numerous residential and commercial buildings at prime locations in Navi Mumbai, Maharashtra, India. Over the years,shreerajgroup has earned a reputation for quality and innovation. All our projects come with ample greenery, spacious and modern design and the best of amenities. The company takes particular care in ensuring that its projects have a clear title so as to give buyers a hassle-free and happy ownership. We are one of the leading Builders and Developers inPanvel, kharghar, Kamothe, taloja areas in Navi Mumbai. Optimum utilization of interior space and green surroundings are as important a feature for the company as it is for prospective buyer. All projects are completed with a view to creating a healthy and clean family atmosphere.